Made famous for shielding celebrities from the public eye, hiding hangovers, and being the perfect style accessory, sunglasses have long been viewed as items that have more style than substance. But you might be surprised to learn that sunglasses do much more for your health than you might think. They are an essential tool for protecting your eyes and preventing all kinds of damage from ultraviolet (UV) rays. We all know the routine; for optimal protection from UV rays, don’t expose yourself to the sun for long periods of time and always wear sunscreen, applying it at least a half an hour before heading outdoors. Staying hydrated and skin protection are the name of the game, but almost as important as these defense mechanisms is a good pair of UV-protectant sunglasses. In fact, not wearing suitable eyewear when out in the sun can have serious consequences. Exposure to the sun’s rays can result in some cancers, “surfer’s eye,” snow blindness, and cataracts. And to add even more to this concern, the ozone is depleting, which means we have even less natural protection from the sun’s rays. If you’re outside on a sunny day for an extended period of time, at high altitudes, out on the water, or live in a snowy area, those rays can be increasingly harmful. The direct exposure and the reflection off surfaces like water and snow can cause problems over time. Surfer’s eye, or pterygium, is a condition that occurs from extended exposure to UV rays. It involves the growth of a thin, transparent layer that covers the surface of the eye. It almost looks like those brown plastic bags you get from the grocery store. Because of these dangers, it’s important to select sunglasses that are approved and have been proven to protect against UV rays. 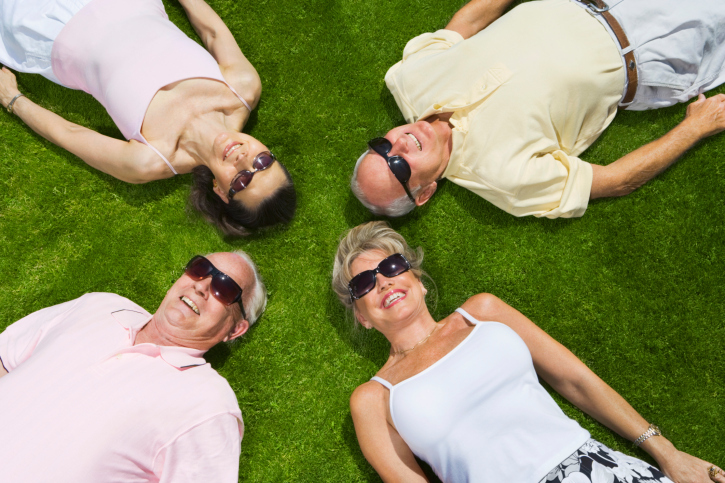 There are different types of UV rays given off by the sun, and what your eyes are exposed to will ultimately determine how much protection you need. Generally speaking, glasses listed at 400 nm (or UV 400) will offer sufficient defense for everyday use. So get some substance from your style and select sunglasses that are built to protect your eyes. You’ll be happy you did! Crouch, L., “Sun ‘can harm sight as well as skin,’” BBC News web site, July 26, 2014; http://www.bbc.com/news/health-28452943.